Bill Andrews, Ph.D., is founder and CEO, is a scientist, athlete and executive who is known for pushing the envelope and for challenging convention. Featured in numerous publications, TV shows and documentaries on the topic of life extension, Bill Andrews is one of the principal discoverers of both the RNA and protein components of human telomerase, and was awarded 2nd place as National Inventor of the Year in 1997. He earned his Ph.D. in Molecular and Population Genetics at the University of Georgia in 1981 and served as Senior Scientist at Armos Corporation and Codon Corporation, as Molecular Biology Director at Berlex Biosciences and Geron Corporation as well as Director of Technology Development at EOS Biosciences. On top of his in-depth experience, Bill is also the inventor of 50+ U.S. Patents issued on telomerase and author of numerous scientific research studies published in peer reviewed scientific journals. Bill Andrews formed a team of scientists who dedicated their time to discover telomerase inducers. In 2007, after years of research, they discovered the world’s first medium-strength telomerase inducer that they labeled COO57684, the 57,684th chemical they tested. This finding confirmed that the team had come up with an accurate, sensitive and fully mechanized high-throughput screening system that worked and allowed the team to accomplish in one day what took months to screen! They called it hTERT RT-PCR HTS Assay. Three independent labs (University of Texas Southwestern, Berkeley Lab’s Life Science Division and the University of Hawaii) quickly validated COO57684’s telomerase activation capability. The skeptics started to believe! ※Click HERE to watch all videos of Dr. Bill Andrews. Bill Andrews, Ph.D., its founder and CEO, is a scientist, athlete and executive who is known for pushing the envelope and for challenging convention. 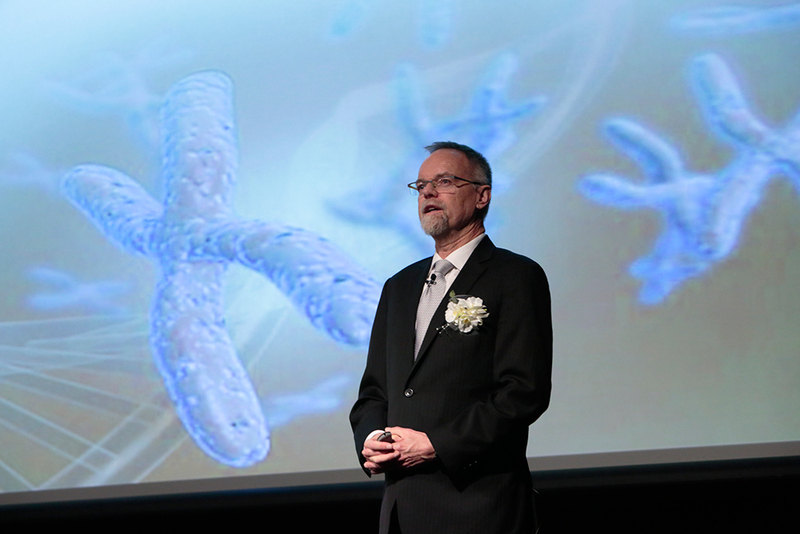 Featured in numerous publications, TV shows and documentaries on the topic of life extension, Bill Andrews is one of the principal discoverers of both the RNA and protein components of human telomerase, and was awarded 2nd place as National Inventor of the Year in 1997.